Review: "ContractRoom is end to solution for your contracting requirements." ContractRoom is used by department which is a helpdesk for ContractRoom for the users and clients to manage their contracts. Our aim is to provide complete support to the end users and also create and modify the existing frameworks. ContractRoom helps to provide complete contracting solution. 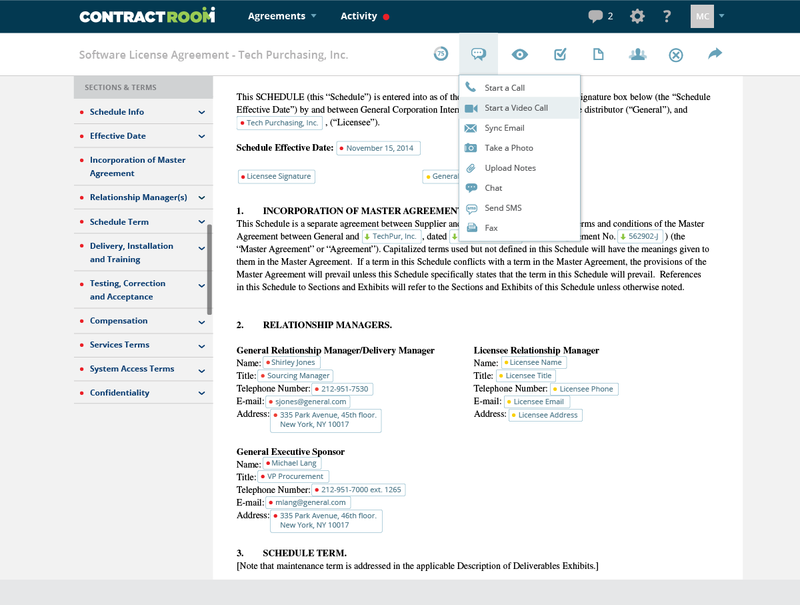 It helps to manage records and provide full support for searching the contracts. It helps to manage contracts online and also give option to work offline. 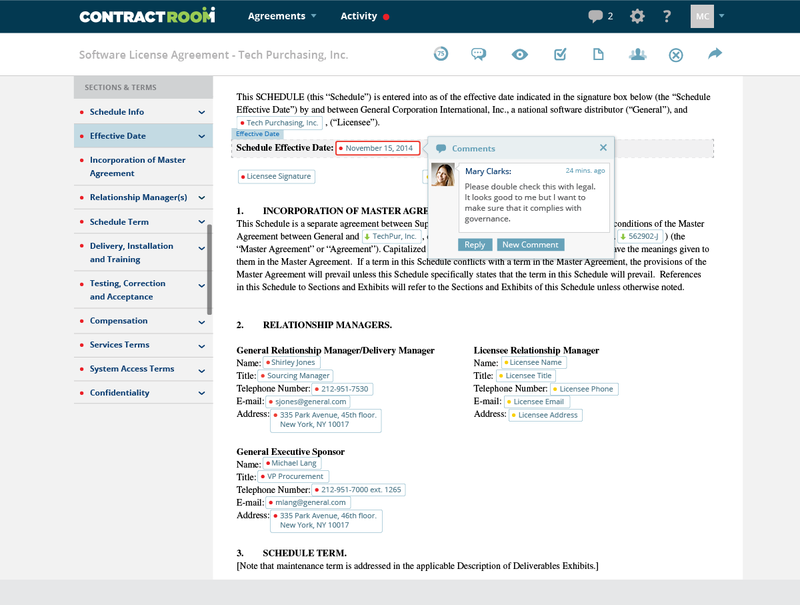 This way user can manage their contracting needs the way they want. It provide electronic signatures facility within the system so the process will not be stuck anywhere. Simplify the eSignature and manuall signature process. The conditional drafting feature of ContractRoom allow us to use or modify the framework requirements which simplifies the end user need. Reporting functionality needs to be improved. Extraction of reports is sometimes difficult due to limited options for search criteria. ContractRoom is new system so it is normal to get stuck sometimes but this will get resolved in their new release. Sometimes its advanced search function doesn't work properly. But when we report it, it gets fixed in real time. So this is something that needs to be addressed. Otherwise the product is very useful. 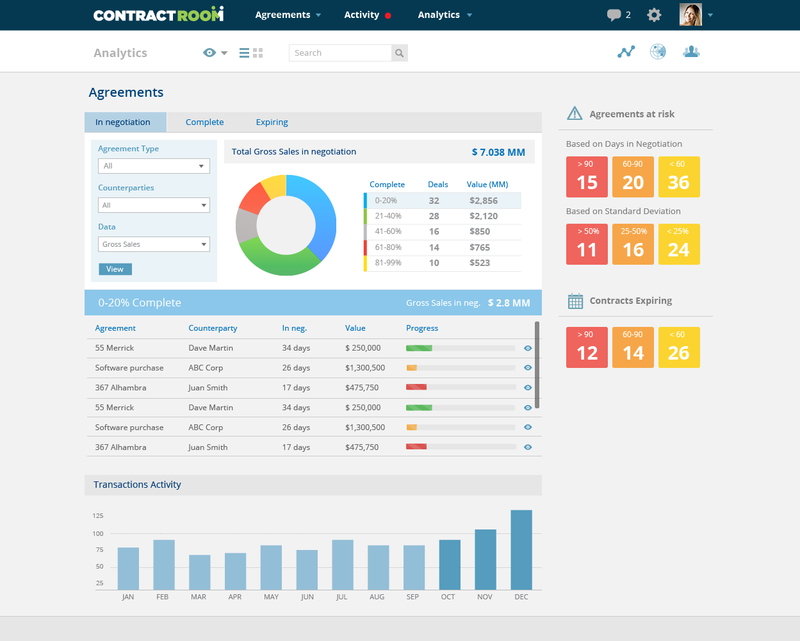 ContractRoom is the best software in market to use for all contracting requirements. ContractRoom can build environment according to their clients contracting process. 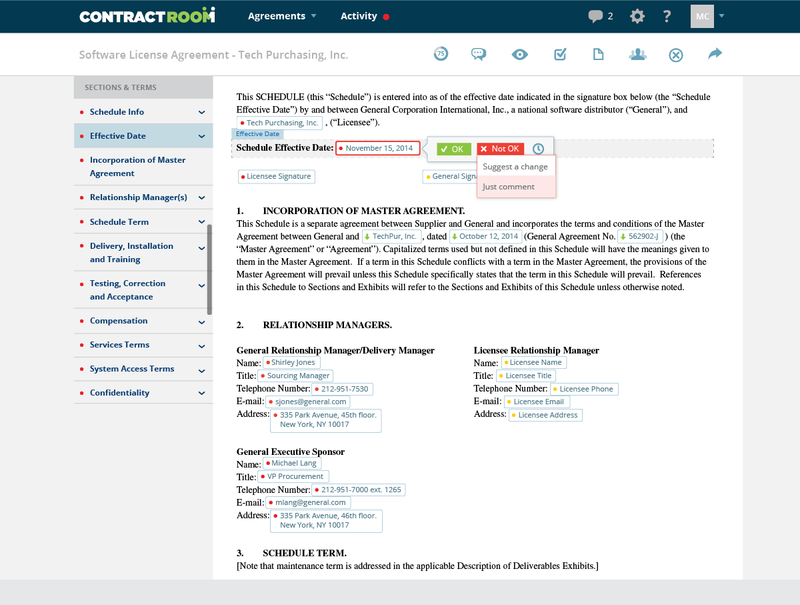 ContractRoom is a negotiation process and contract management platform. According to the vendor, it removes the endless back-and-forth and annoying redlines - instead providing perfect drafts, frictionless negotiation and super simple compliance. 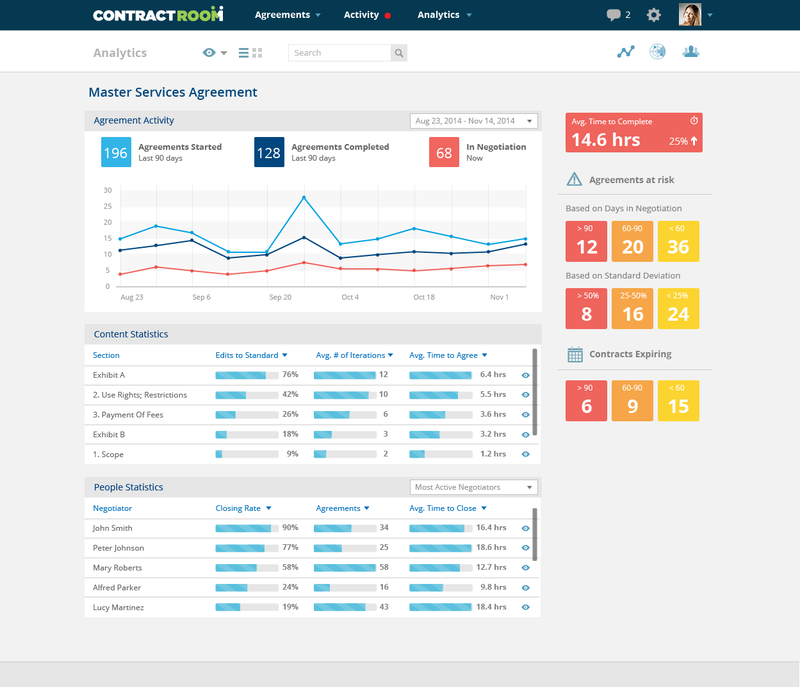 ContractRoom also leverages all the past data from business negotiations to improve the end-to-end process and decision-making over time. The vendor says its intuitive design and configuration make it perfect for both large and small organizations.